Rare and unusual small vase from the early Qing Dynasty, Youngzheng period (1723 to 1735). 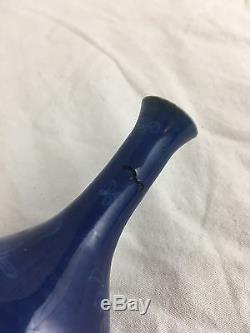 The small size and form indicate the vase was a scholars table item. 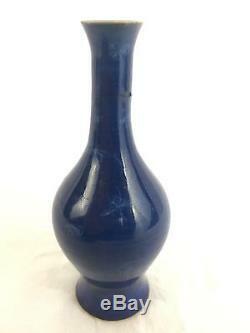 Deep cobalt blue with light blue flowers and insects on all sides of the vase. 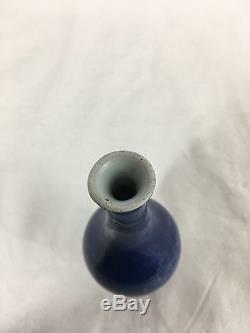 The bottom and inside of the vase have a very light blue glaze. 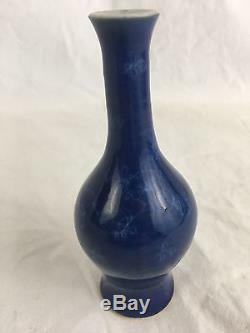 The foot and top lip of the vase are both unglazed. 1 1/3 diameter at base. One firing flaw on the neck. We are tested long-time members of the International Society of Appraisers (ISA). Our listings are described in good faith and to the best of our knowledge and expertise. Most of the items we list are antiques and estate pieces and will show normal wear and tear consistent with age. We do our best to describe any damage. Please use the feature to enlarge photos and inspect carefully. 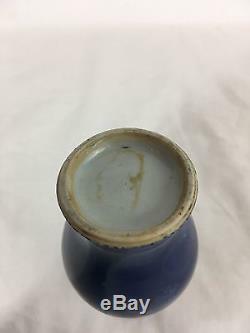 If you have a specific inquiry as to the condition of an item, please message us. Please ask if you are interested in layaway. 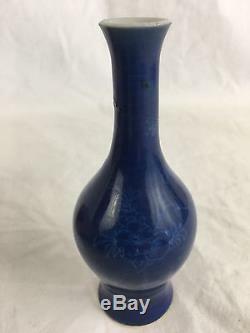 The item "Youngzheng 18th Century Chinese Blue Porcelain Scholars Table Vase, Qing Dynasty" is in sale since Wednesday, March 8, 2017. 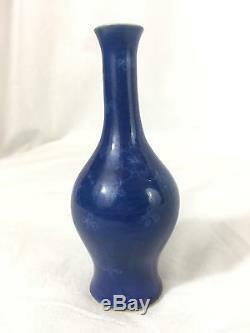 This item is in the category "Antiques\Asian Antiques\China\Vases".vintage" and is located in Seattle, Washington.